President Sirisena had earlier fired Wickremesinghe on 26 October replacing him with former President Mahinda Rajapaksa. Colombo: Sri Lankan President Maithripala Sirisena caved in to mounting pressure and reinstated Ranil Wickremesinghe as prime minister, ending nearly two months of a protracted leadership crisis that prompted Moody’s, S&P and Fitch to downgrade the island’s credit rating. Sirisena on Sunday swore in Wickremesinghe, who he had abruptly fired on Oct. 26 and replaced with former strongman president Mahinda Rajapaksa, despite having said he wouldn’t reappoint his former prime minister even if all 225 members of Sri Lanka’s parliament endorsed it. Sirisena said on Nov. 25 that contrasting leadership styles and Wickremesinghe’s habit of unilateral decision-making made it impossible to work toward improving the economy. Wickremesinghe has a neo-liberal economic view that Sirisena didn’t agree with, the president said. 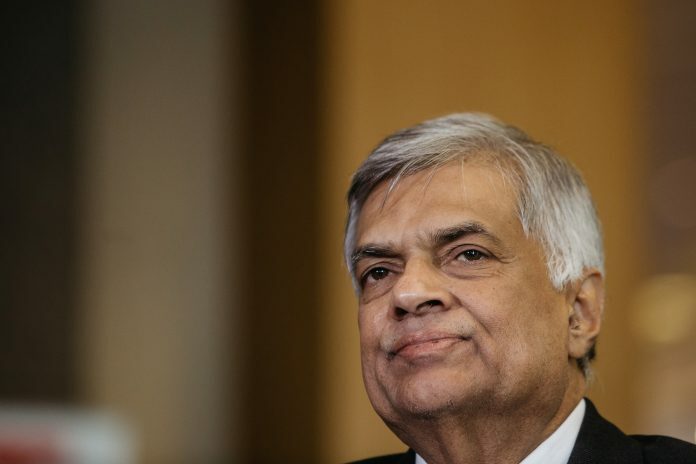 There is a chance that Wickremesinghe and the president could get along despite the acrimony of the past months, said Manoj Joshi, a distinguished fellow at the New Delhi-based think tank, Observer Research Foundation. “Both Wickremesinghe and Sirisena may have learnt their lesson and could work out some form of co-existence going into the future, since the political crisis has had a negative effect on the country’s finances and international standing,” Joshi said. Sirisena originally suspended parliament, then tried to dissolve the legislature entirely for fresh elections — a move that was blocked by the Supreme Court to decide on its legality. His actions have been criticized by countries including the U.S., while the political crisis led to Moody’s, Fitch and S&P downgrading the island nation’s credit rating. Sirisena’s change of heart toward Wickremesinghe came after the Supreme Court on Dec. 13 ruled against his plan to dissolve the island nation’s parliament and call a new national vote. The top court ruled as unconstitutional a presidential notice to dissolve parliament before a period of four-and-a-half years from its first sitting unless the move was endorsed by a two-thirds majority of parliament. Rajapaksa on Saturday relinquished his premiership while reiterating a call for elections, while his lawmaker son Namal Rajapaksa tweeted on Friday that a “broader political coalition” was set to be formed between his father’s allies and lawmakers backing President Sirisena. On Dec. 4, Wickremesinghe said that he was willing to face an election, but it must be conducted with the legitimate government in place. Sri Lanka’s Court of Appeal on Dec. 3 issued an interim order preventing Rajapaksa, who has previously taken billions in Chinese loans, and his ministers, from exercising power until it hears a petition challenging their authority. The island’s Supreme Court on Dec. 14 granted leave to proceed even as it declined interim relief after Rajapaksa challenged the appeal court ruling. On Dec. 12, 117 lawmakers voted in favor of Wickremesinghe, who had served since 2015 in a unity government with the president, to pass a resolution showing that he commanded the confidence of parliament to function as prime minister. Lawmakers opposing Rajapaksa had already voted on Nov. 29 to freeze his office’s spending — and the salaries of all his ministers — in a bid to crimp the new government’s ability to implement policies. That was the third straight parliamentary vote to go against the former president, who ruled between 2005 and 2015.